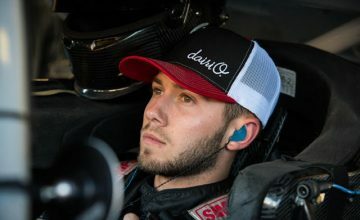 The NASCAR Sprint Cup Series thunders into Bristol Motor Speedway on Saturday night under the lights marking the 100th NASCAR Cup Race at the “World’s Fastest Half-mile”. 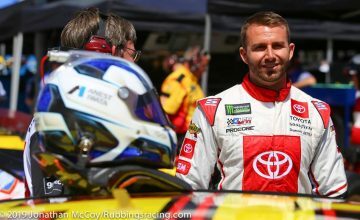 Plenty has changed at one of NASCAR most exciting and fan favorite tracks since the first race in 1961 but what hasn’t changed is the “edge of your seat” action and competitive racing. Hard to imagine when the track first open in 1961 the track held just 20,000 fans on its concrete bleachers. Today the track holds 160,000 fans a remains one of the hardest tickets to find in NASCAR. Well let us get to this week’s pre-race report and the drivers, storylines and drama that will keep your eyes glued to the track or television. There is little doubt that Kyle Busch is the favorite in the IRWIN Tools Night Race on Saturday. Busch has three victories in 11 starts in the Cup Series at Bristol. At stake for Busch this week is his streak of eight top-10 finishes in his last nine starts at Bristol. For those wondering, Busch has failed to record a single top-10 finish in his last nine Cup races in 2010. Busch has the best averaged driver rating of 103.0 at Bristol narrowly edging Greg Biffle at 101.2. Veteran drivers Jeff Gordon and Kurt Busch are lead all active drivers with five wins each the Bristol and look to rebound from last week’s performance at Michigan. Gordon finished a disappointing 27th when he and Jeff Burton got together late in the race. He finished 14th here in the March race and hope to improve those results along with a “shot” of momentum as we get closer to the Chase. Busch cleared was the car to beat in March leading 278 laps but a four tire pit stop with 17 laps remaining while others in the lead pack took two tires. The result was a frustrating 3rd place finish and a very unhappy Busch after the race. Most will likely scratch their heads that Kurt Busch is a favorite to win at Bristol with the team momentum on the down slope but he and Crew Chief Steve Addington hope to turn that around on Saturday. Do not be surprised if points leader Kevin Harvick isn’t among the leaders at the end “bumping and banging” for his second consecutive victory. The trend for Harvick shows he is more successful at Bristol in the spring race and typically slumps in the fall race but lets face it, this season for Harvick and the 29 team has been anything but “typical”. Although in 2009 Harvick had two thirty-something finishes, he bounced back in the spring race in 2010 and finished 11th. The most intriguing story on the track Saturday will be the “bubble battle” between Clint Bowyer and Mark Martin for that all important 12th position in the Chase. Bowyer currently has a mere 30 point lead over Martin with three races left before the Chase. Bowyer has been more consistent than Martin this season but history would give the edge to veteran Martin. Martin has notched 16 top-5 finishes and 23 top-ten’s in his career at Bristol. Last week at Michigan, Bowyer jumped passed Martin with finishing 13th while Martin got in trouble early smacking the right rear into the wall. Martin did more damage than originally thought and was unable to rebound, finishing 28th. My pick for tomorrow night’s race is Kurt Busch. Busch returns to Bristol with chassis “PRS-709” which is the same chassis the team debuted at Bristol in March. 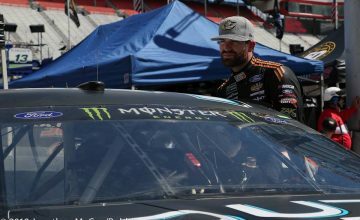 That car was dominated the race and Busch and Crew Chief Steve Addington hopes the same will happen on Saturday but this time with a trip to Victory Lane. Busch dropped six spots in the point standings last week and needs a strong run at Bristol to solidify his place in the Chase. Share your pick and see who gets bragging right on Sunday.